One of the things that I feel truly separates my work from the work of other wedding photographers is my use of light. I am always striving to find new and interesting light sources as well as working on my indoor images to light them in the most flattering way possible. I work with several off camera lights during my reception coverage in order to illuminate the scene in front of me in a way that enhances the mood and feel of that particular wedding reception. At this wedding reception at the Milwaukee Public Market I utilized that off-camera flash to separate the bride and room from the background of their wedding reception ballroom. 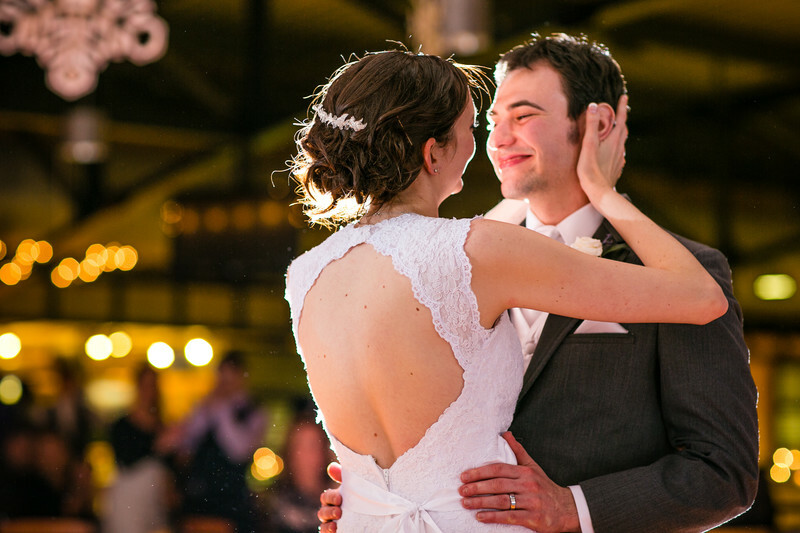 The first dance during a wedding reception is a wonderful opportunity for emotional images and it's a joy when I can capture such happiness on the faces of the brides and grooms. 1/50; f/2.2; ISO 500; 85.0 mm.